The Formula Thunder 5000 car will sport a new look when it takes to the track for the Super5000 demonstration sessions at the Vodafone Gold Coast 600. 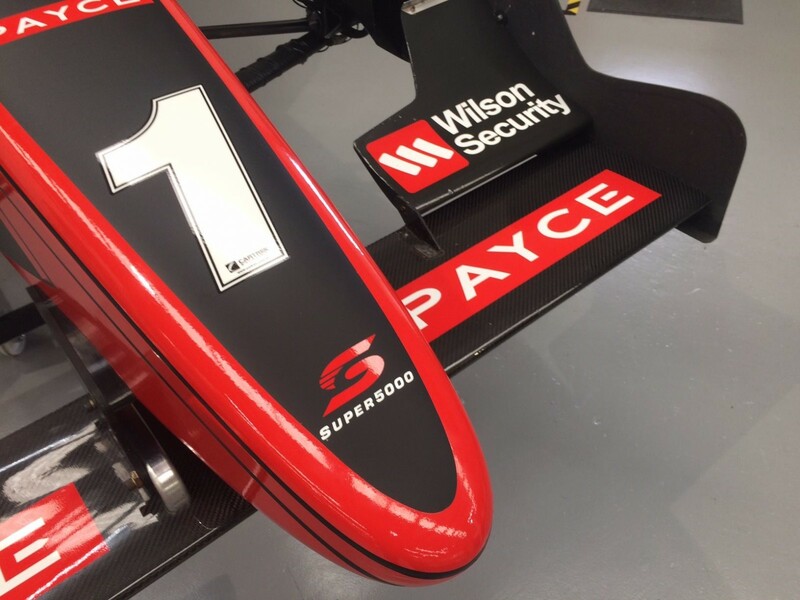 The pair of V8-powered, retro-inspired projects - merged under the PAYCE and Wilson Security Super5000 banner in July - will lap the street circuit this weekend. Chris Lambden’s Formula Thunder 5000 was on display in the Supercars paddock at Sandown last month, but has since been revised. Its high, Formula 5000-esque airbox has been replaced with a design that is believed to closely resemble the one adopted for IndyCar’s new 2018 aero kit. The car also has a new livery, to be revealed in full on the Gold Coast, a different take on the red and black that has adorned the Oscar Fiorinotto-designed Super5000. Three-time Australian Formula 3 champion Tim Macrow will drive the Formula Thunder 5000 this weekend, while Leanne Tander reprises her Sandown role behind the wheel of the Super5000. The two packages are being evaluated, including Garth and Leanne Tander having now tested both, with a view to establishing one technical platform. Among the differences, Formula Thunder 5000 is powered by a ‘crate’ V8 engine, while Super5000 is fitted with a Supercars powerplant.